Over the past 15 years, the book industry has changed significantly with the introduction of digital printing and print on demand (POD). With change or advancements in any industry comes doubt, confusion, and misinformation. While the book industry has embraced digital printing, there are still common misconceptions about POD. Before POD came about, the process of offset printing would take months to complete. Standard offset print runs needed to be in the thousands to justify the fixed costs. That put a heavy financial burden on the independent writer not published by a traditional publishing company, because with offset printing an indie author would have to pay to print thousands of copies of their book that weren't guaranteed to sell. Beyond that, they'd have to find a place to store their copies, paying for warehousing or losing various rooms of their home to book storage. Digital printing and POD has eliminated the need for large offset print runs, allowing millions of new authors to see their printed work come to life quickly, efficiently, and inexpensively. One of the reasons bookstore owners may choose not to buy and sell POD self-published books has to do with the pressure they are feeling from online sellers. Bookstores are limiting their valuable shelf space to titles that sell. Unless there is a history of sales or a clear book marketing plan from the author to get books off bookstore shelves, most stores won’t take a chance on a new author. The other reason has to do with availability. Since POD titles are not printed in advance and stored with a wholesaler, bookstores sometimes shift to titles they can acquire quickly. Books published with IngramSpark show significant inventory levels in Ingram's ordering system, so booksellers always know the title is available and it's printed as orders are placed. Most distributors would prefer to work with a publisher who carries a variety of titles instead of an individual author. However, if a book is continually being requested, distributors will make exceptions to satisfy the need of their customers. IngramSpark is Ingram's way of making their distribution services available to individual authors; come one, come all. If an author is working with a distributor, it’s up to the author to market the book to customers who purchase their books through these wholesalers. Most distributors and wholesalers have advertising opportunities that authors should take advantage of. Nothing can be further from the truth. With digital printing and the investment in print technology, the quality of POD books is equal to any other printing process used today. This investment in print technology increases efficiency and quality while keeping the costs down for both author and printer. To see the quality of a book, authors can ask their POD company for samples. The per book price for printing on demand can be slightly higher than large print runs, but authors need to factor in how many copies need to be printed in order to get that lower per book price with offset printing. Paying slightly more to print the 10 books you need is less expensive than paying less per book to print thousands of copies. An author using a POD company will have a smaller upfront investment with no need to print, warehouse, and ship hundreds or thousands of books. Plus, in the case where a mistake is found in the book, the POD author corrects the error and resubmits the file. All books printed from that point forward will include the correction and you don't have to worry about throwing away all of the stock you previously printed with the error in it. With POD, there are no "wasted" copies. Most POD companies have a wide variety of trim sizes for paperback books printed in black & white or color. Fewer have options for hardcover books, but overall, POD companies can satisfy the most popular trim sizes you'd need for your book, and other features for a vast majority of projects. Authors should research and choose a POD company who can fullfill their needs. While print on demand appeals to a wide variety of authors and publishers, authors and publishers should evaluate their options and decide what works for them. No matter which strategy you choose, you can always change to best suit your needs. 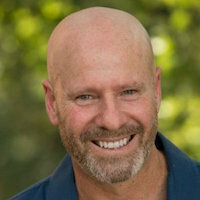 Rick Lite of Stress Free Book Marketing, is a seasoned book marketing professional with over 13 years of experience in the industry. Rick’s expertise comes from tirelessly working on new and innovative ways to market his own books and CDs with his company and parent company, Stress Free Kids. Rick works closely with authors to create custom, robust book marketing programs, and he's quick to share his knowledge and “insider tips” for a successful marketing campaign that will lead to increased exposure, awareness and most importantly, sales.